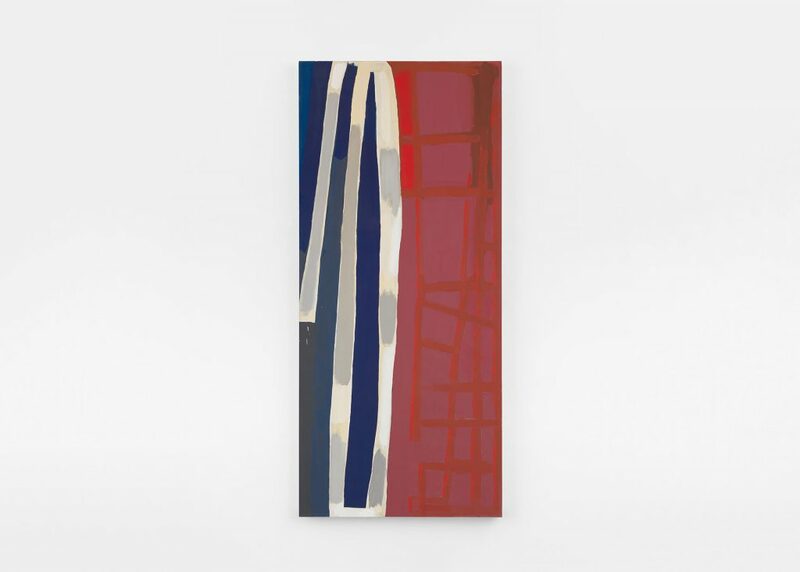 Al Taylor, Untitled, 1980, acrylic and oil on canvas, 68 1/8 x 42 inches. 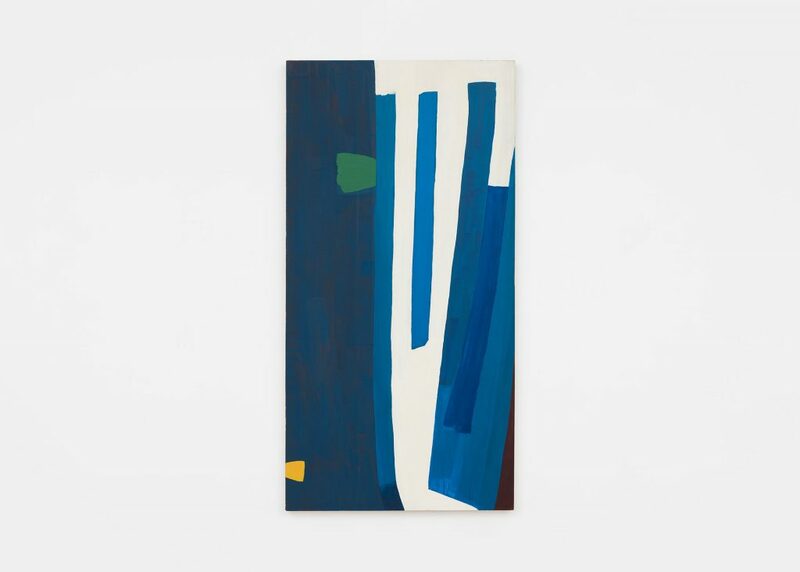 Contributed by Katie Fuller / The masterly early paintings of Al Taylor, currently exhibited at David Zwirner, were made from 1971 through 1980, before he began creating his famously sculptural forms. 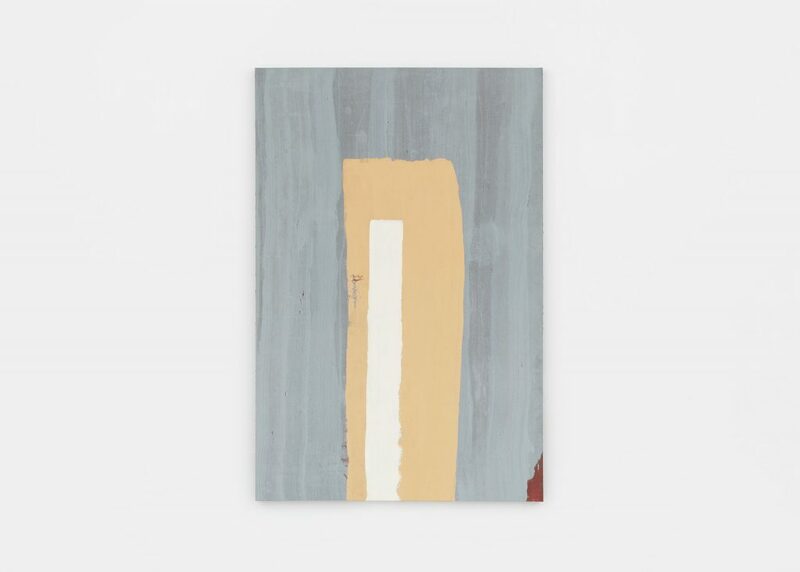 Most of the paintings are rather large and vertical, and adhere to the rule of thirds, though some are split starkly in half by color and form. Stripes and grids are common motifs, notably in Thinking About It and Mendoza. The paintings sometimes seem architecturally-inspired, and Taylor is singularly adept at creating and organizing space. 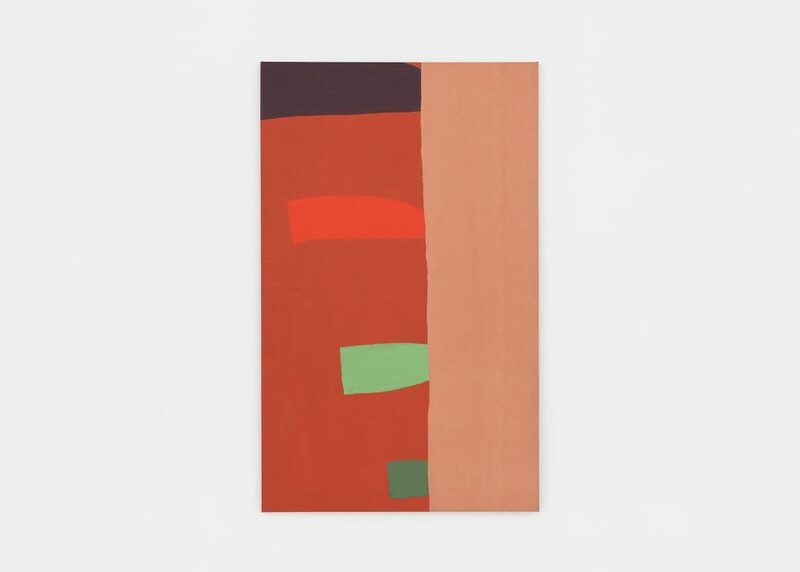 But their chunky shapes and unique combinations of bright and muted colors also introduce an element of playfulness that runs counter to the draftsman’s precision. 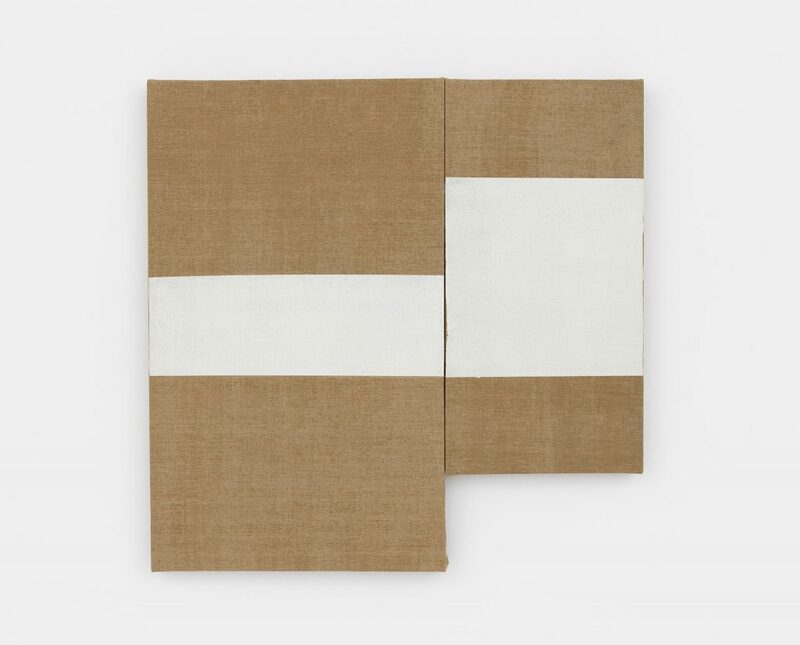 Taylor also places canvases of different sizes next to each other to create a single asymmetrical work, as with the paintings Marriage and Helen. This device enables him to recapitulate the space he establishes within the paintings in the overall contour of the paired canvases. It’s a visually exciting experiment that seems to foreshadow some of Taylor’s sculptural strategies. 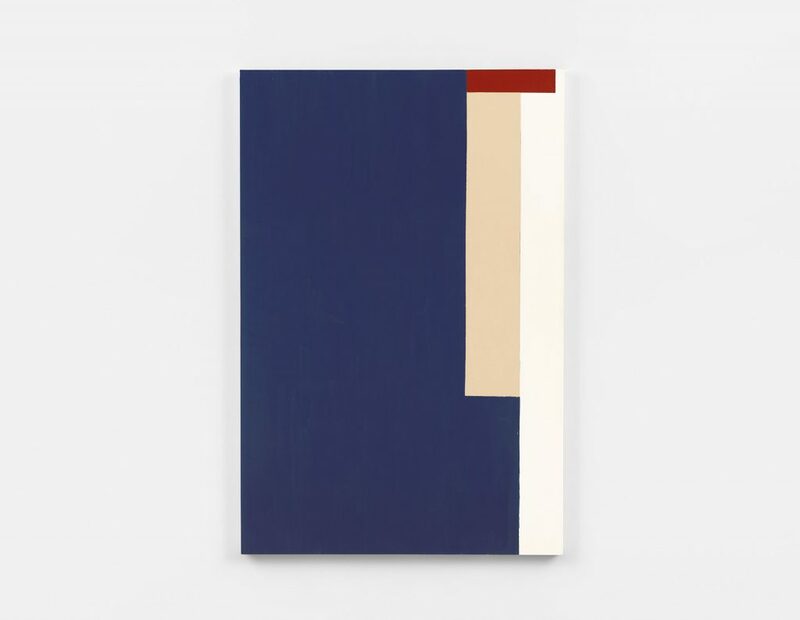 Untitled (1971), featured on the press release and the cover of the book Al Taylor: Early Paintings made for the exhibition, stands out from the others. Here his compositional discipline, though certainly not abandoned, is comprehensively relaxed. 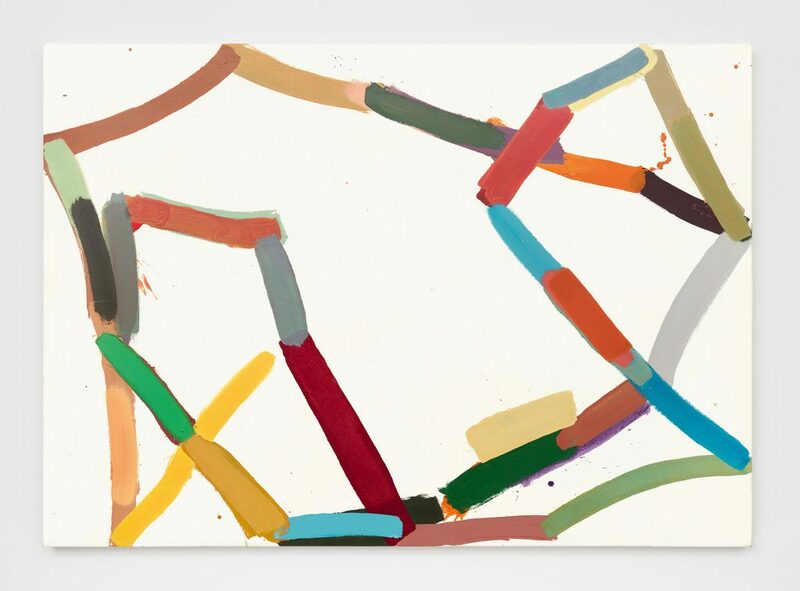 There is considerable white space in the painting, and a multi-colored line dances around the canvas and excitedly bounces off the edges of the picture plane. Some of the colored lines are completely opaque, while others feature a subtle transparency that creates depth and allows for unexpected color overlaps. These characteristics reflect a kind of controlled unruliness that give the painting a more organic quality than the others. 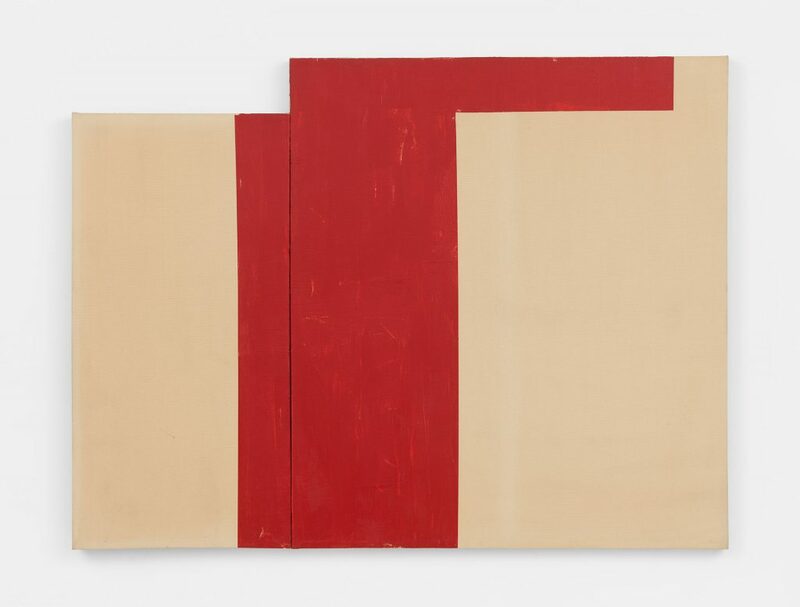 This exhibition provides a clear and impressive view of Al Taylor’s earliest visual ideas, and hints at how he began to transition to some of his later work, illuminating a compelling segment of a searching, innovative artist’s progress.